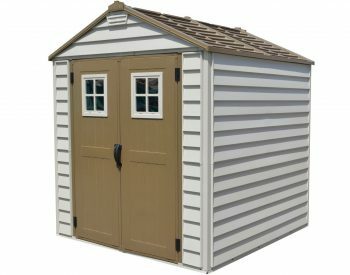 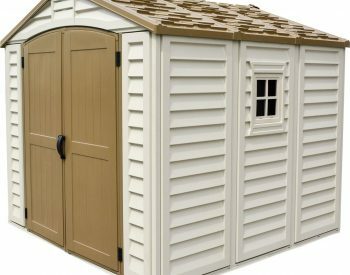 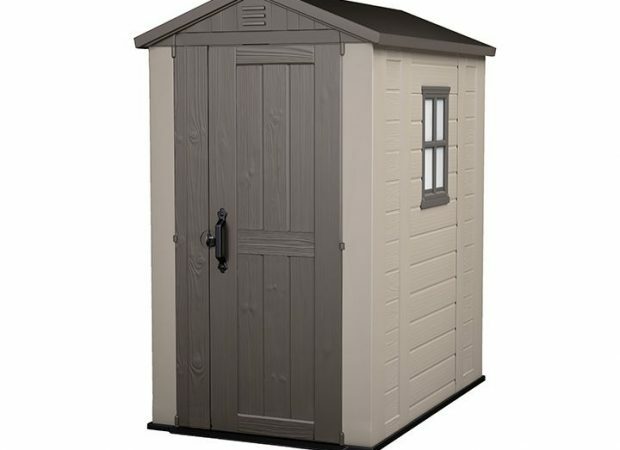 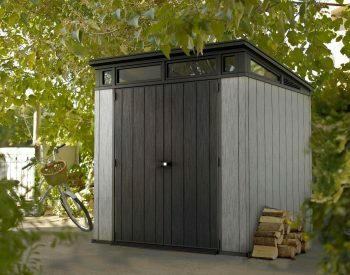 Free storage box if you intend to review this shed for us. 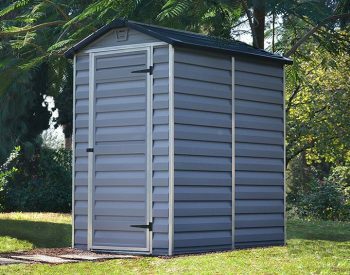 KETER FACTOR 4 x 6 PLASTIC SHED – a new outdoor storage solution designed especially for narrow spaces. 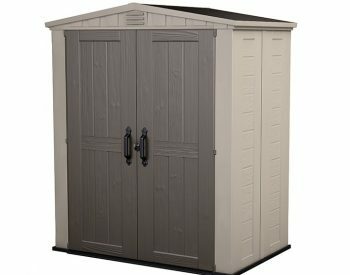 Optimise your outside storage with this attractive and practical plastic garden shed manufactured from tough poly resin by the world leading supplier. 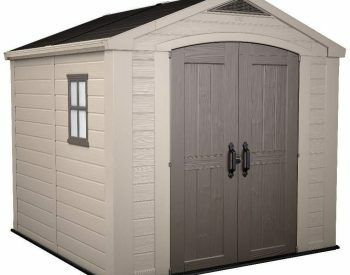 The FACTOR 4 x 6 has the traditional benefits of the KETER plastic garden shed range – robust, maintenance free construction, an integral floor which is part of the structure, (no concrete slab is required), window and ventilation and ease of assembly. 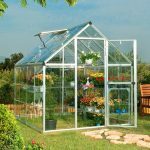 It also incorporates a new design feature – the ancillary door, which allows the door opening to be as wide as 87.5cm to enable maximum access for larger items. 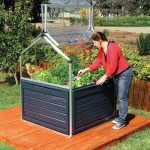 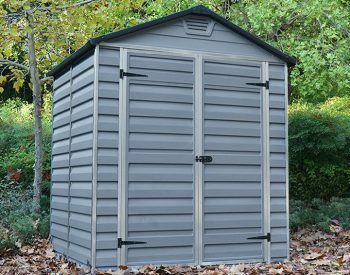 Plastic sheds such as the FACTOR 4 x 6 are an excellent trouble-free answer to your outdoor storage requirements – easy to install and a great way to protect your gear, whether it be gardening tools and supplies, bikes, toys or sporting equipment. 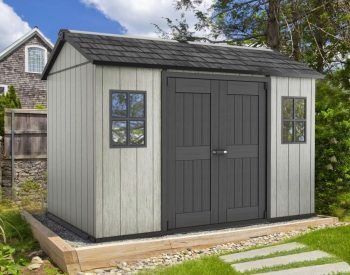 The combination of ease of installation, attractive appearance and long, low maintenance service life are resulting in plastic garden sheds rather than Zinc or Color steel units being the outdoor storage solution of choice for many people. 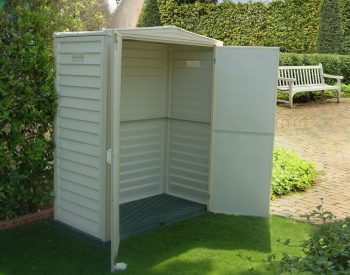 Once the FACTOR 4 x 6 is installed, the only ongoing maintenance required for a plastic garden shed is an occasional wash down with water and a soft brush to clean off any dust etc which may have accumulated. 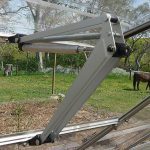 The polypropylene resin plastic used for the wall and roof panels is UV-stabilised and can be expected to give a long, maintenance free service life. 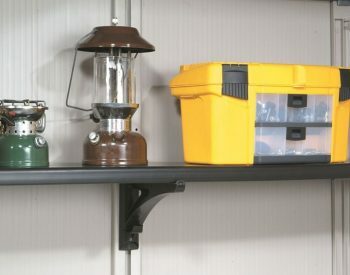 Has provision for shelves to be added (shelves not included). 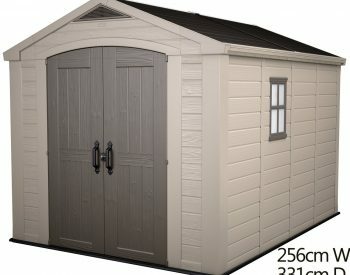 Just the right size I needed and all the parts for in easily, I thought the assembly instructions are a bit vague. 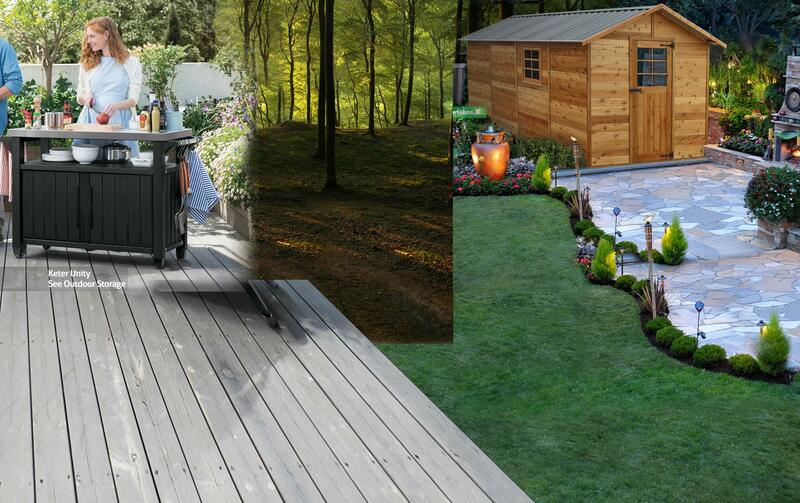 The end product looks good however. 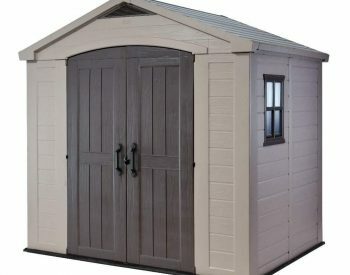 Great product, perfect for the application we required!